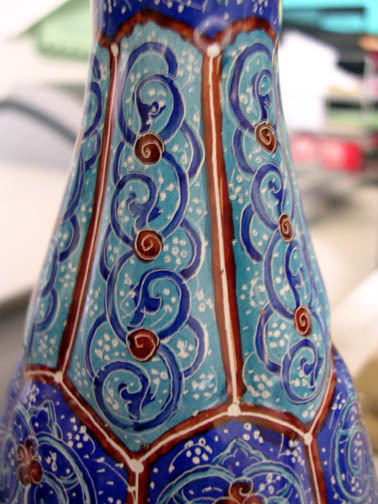 This decorative vase features the intricate mosaic pattern called esleemee (there is no exact English translation). 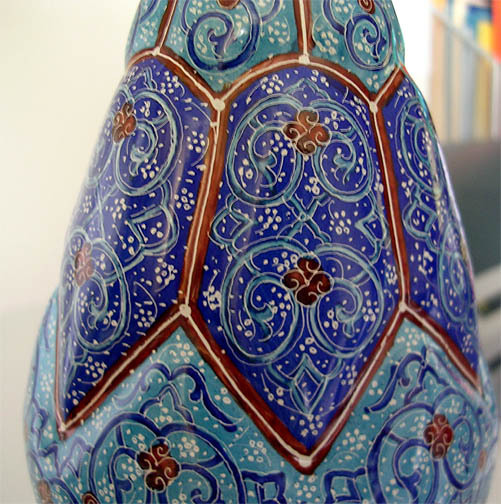 This item was created by one of the greatest Persian mina karee craftsmen today, Morteza Esmaili. 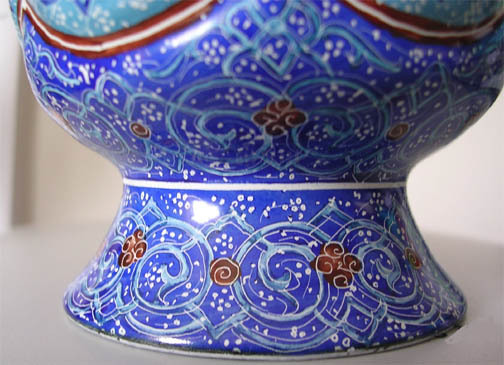 He is known in Tehran as Panje Etela'a, or "Goldfinger." 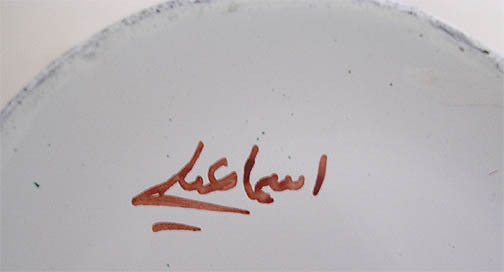 His signature is on the bottom. 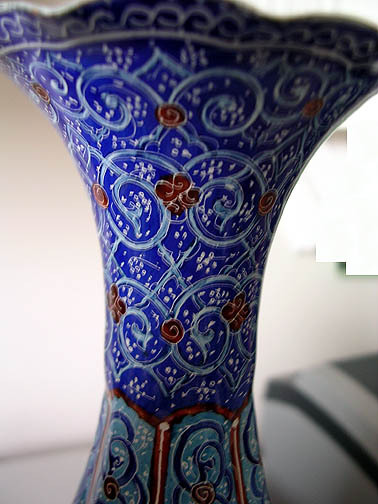 Height 8" (20 cm) tall, Base diameter: 2.5" (6 cm); depth of indentation 0.5 cm.